The 1SKB-17 Standard Acoustic Roundback Shaped Hardshell Case by SKB is from the Deluxe Acoustic Guitar Case series. 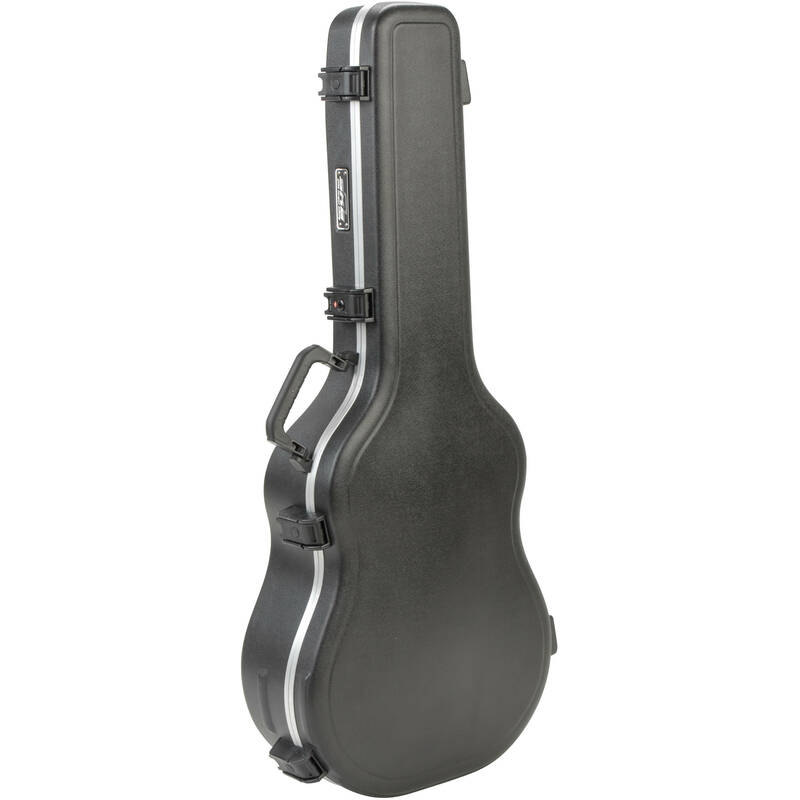 The case incorporates a proprietary engineered rubber-modified styrene shell and rigid EPS interior foam that cradles the guitar securely and absorbs shock. Molded in bumpers provide additional protection for the aluminum valance. The case features SKB's patented fiberglass reinforced nylon trigger release latching system with the inclusion of a TSA recognized and accepted locking latch. The TSA lock enables you to lock your case yet still be inspected for airline security. The TSA logo notifies TSA screeners that the latches do not need to be broken for a security check. The 1SKB-17 is designed with a cushioned rubber over-molded handle for a more comfortable carry and features molded-in feet. Stacking wells are part of the exterior contours to provide added convenience when transporting multiple cases.